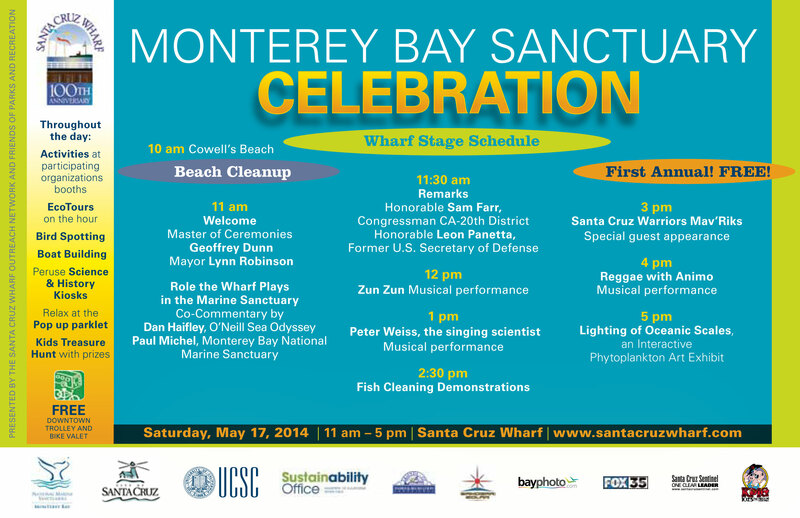 Oceanic Scales, the work of Gene Felice (DANM '14) will move from the LightLab and be featured at the celebration of the Monterey Bay Sanctuary, this Saturday May 17th on the end of the Santa Cruz Wharf, just above the sea lions. The piece be there from 11am to 10pm with an official lighting of the installation happening at 5pm when day light begins to fade to dusk. There's no better event or location to display Oceanic Scales for the first time by the ocean side. Here’s a link to more details about the event.